Well, in doing research, and going through my music collection, I found five non-Queen versions of the song in my possession (parodies and covers). Five, as well as Queen's version and a few Queen live versions! And then, going through an old hard drive, I found some video clips I'd downloaded from YouTube back years ago, and found another 4 versions, another mix of parodies and covers! Wow! So, I was online discussing the idea of this column with another person and she sent me three more links to cover versions of the song she likes. I watched them, and through them also listened to another half a dozen parodies on YouTube I'd never come across before. 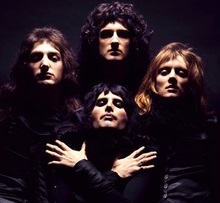 We're talking something like 20-plus different versions of the song 'Bohemian Rhapsody'! And then there were all the ones I didn't bother to listen to. Holy cow, Batman, how much 'Bohemian Rhapsody' do we need? Well, too much is never enough (to quote Jim Steinman). On a side note, this is only the tip of the iceberg. Thanks to Andrew Denton, I own over 30 different versions (including parodies) of 'Stairway To Heaven', and thanks to me being strange, I own 10 different versions of 'Wild Thing' (no parodies, but The Goodies do appear), and 10 versions of 'Knockin' On Heaven's Door' (still no parodies). Therefore, owning more than 6 versions of 'BoRap' (as the cool kids apparently call it) is nothing. Sadly. Before I get started with my favourite five versions/parodies, this column obviously involves a lot of versions of the same song. However, I would recommend, especially if you are reading this at work, cranking the volume and singing/screaming along because this is that sort of song. If your boss doesn't like it, claim it as stress-relief and that you need it on your job, and try to get all your co-workers to join in. Or if, like I once was, you're a teacher, play it and get your class to join in. I had one group of 11 to 13 year olds who loved this track. If you're at home – entertain the neighbours. They will appreciate you, I'm sure of it. In that vein, to start with, I reckon we should have Queen's original, with one of the most ground-breaking video clips of its time. It might look rather simple today, but we cannot discount just how impressive not only the song but the visual imagery that goes along with it really was when it was released, back in 1975. This changed the landscape, saying songs could be visually impressive as well as aurally. Nothing in popular music was the same after this. Urban legend has it that the band wanted to release it as a single from their Night At The Opera album, but the record company baulked at releasing a song almost 6 minutes long. So they gave DJ Kenny Everett a copy and told him "not" to play it; being Kenny, he played snippets until audience demand said he had to play the whole thing and it boomed from there, becoming one of the most recognisable songs in all of rock and roll. So, let's start with a "straight forward" cover version from 2011. This is one of the videos I had on my drive, but (fortunately) it still exists online. It is by an amazing artist named Charles Yang, and it is just overdubs of him – his voice and his violins. It is an amazing piece of work, showing what one person can do with determination, a goal and a deal of talent. A huge deal of talent. Another cover version next, and one forwarded to me by my online friend. It is by a group called Pentatonix, an a cappella/beat box quintet from the USA. I love me some a cappella; The Flying Pickets are one of my favourite groups and I think Human Nature are at their best when they ditch the backing instruments. But this group go that one step further by adding beat-boxing and the effect is, quite simply, stunning. And this 2017 version of 'Bohemian Rhapsody' is just that – stunning. Now we come to a version that straddles the fine line between parody and cover version. Any fan of 'Weird Al' Yankovic will know of his habit of putting a polka (most commonly as a medley of tracks) onto every album he releases. I think there's only been one I haven't liked; his Rolling Stones one was incredible, and 'The Alternative Polka' was one of his best. And up there with the very best of them was, from the Alapalooza album in 1993, 'Bohemian Polka', the only single song polka so far. The lyrics are the same, but it was done in the style of music all great songs must eventually succumb to – polka music. On my hard drive, another video (also still online) is the version by The Muppets. Now, it's The Muppets, so you know it's going to be high quality. (Shut up; The Muppets are always awesome.) You know it's also going to be Muppetised. 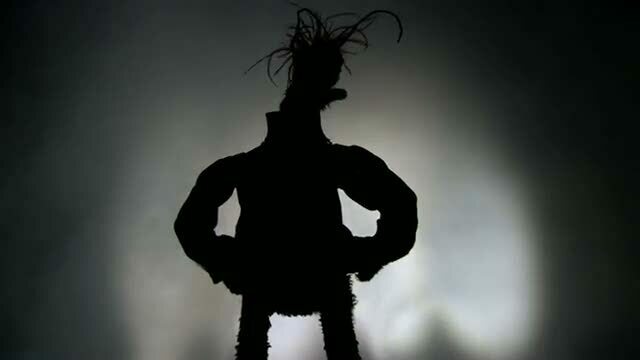 Some small lyrical changes to Muppet it up, and a spot-on parody of the video clip as well. This is truly magnificent. Highlights include Animal's "Mama… Mama?..." section, Fozzie Bear, and the ending with Kermit and Scooter. So cool. And we'll end with a pure parody, from 1984. The Hee Bee Gee Bees were a parody band from the UK in the early 1980s. They had two albums (which I own on cassette – don't judge) and they are both still funny, even thirty-plus years later (although maybe only to people like me who remember the original artists and songs). One of the best parodies, though, was not one that made fun of the singer or artist, but actually changed the song into something different. And that song is 'Toyland Rhapsody' (attributed to Queer), featuring Noddy, Big Ears and all the rest. And with that, the original plus five alternate versions of the one song, I will end this here, and I hope you've entertained everyone within a one hundred metre radius with this song. And, of course, please comment, even it's to say, "Don't do that again." But I had fun writing this one. Hope you had fun, too. Steve, this song is a classic (classical? ); and Wayne and Garth doing it is a comedy classic. Love it! Hahahahahahaha. Classic. Keep doing it Steven. Yes, I did indeed have fun. Thank you. Great stuff.